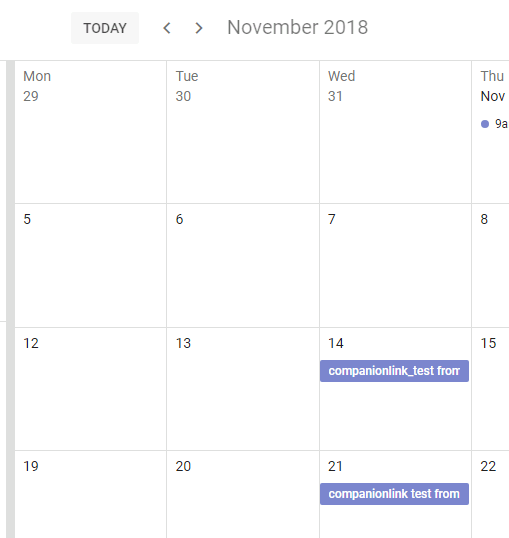 CompanionLink for Google: How to share Outlook Calendar with Google user? Since Google withdrew free sync service between Google Calendar and Google Calendar Sync, the users started to panic. Some felt pissed off and swapped with no second word to other services such as iCloud or Outlook.com. Some users who rarely sync looked what Microsoft taught them and followed the manual export/import of .ics files. Some with faith in Google subscribed GASMO (later known as G Suite). Lastly, some, who did not compromise but still to stay with syncing between Outlook and Google services, turned to third-party Outlook add-ins instead. With such add-in tools, continuing using Google Calendar service is still possible without paying Google monthly fee. Any recommendation on such Outlook Add-in? Beside our recommendation of EVO Collaborator for Outlook, there are other Outlook Add-ins too. We plan to write 6 articles about 6 add-ins on the market. Then, you can make comparison and see which one fits you. Free or not free? This is one of our main concern on choosing the alternative since Google Calendar Sync used to be free. Other concern is trying a new Outlook add-in is a bit risky because we do not know if it will do the job? To me, as long as the replacement can get the job done, I do not mind to pay since I am insured by the software company on tech support when I need help. 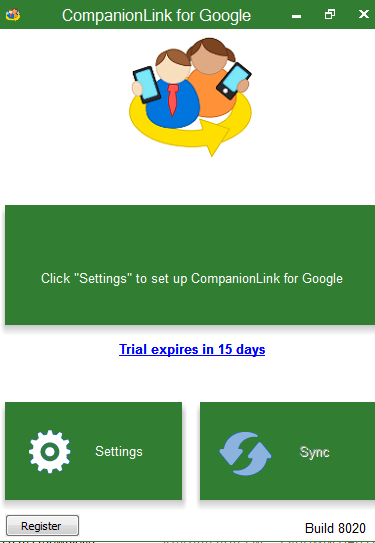 Let’s check out what CompanionLink for Google can do for us. Older than gSyncit and OggSync, CompaionLink has been out there sine 1996. Back in the old days, it provided software of data transfer between PDA and PC. It supports a wide range of hardware and software platforms. Due to this nature, its software title is simple and straight focusing on one service at a time. Like OggSync and gSyncit, it only supports syncing with single Google account. 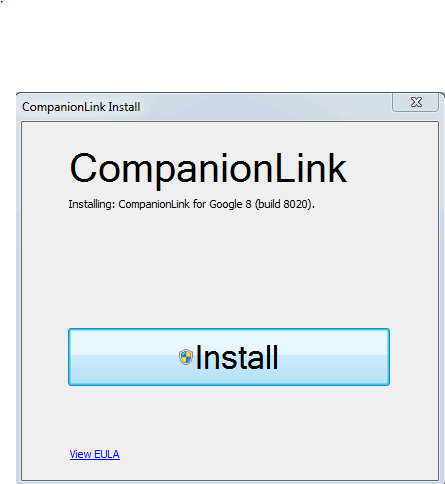 First, CompanionLink for Google and install it. Run the application after installation. 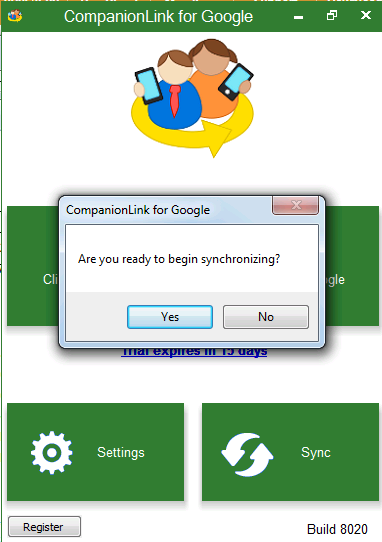 By the way, CompanionLink for Google is a standalone software application rather than an Outlook Add-in. Click on Settings button to start initial configuration. First of all, we will perform Google OAuth routine. 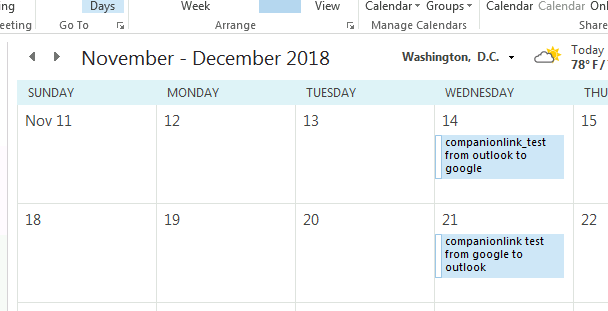 Click on Calendar tab and select calendar folder to be synced. Typically, choosing default value is fine unless you like to sync all calendars and some of them. 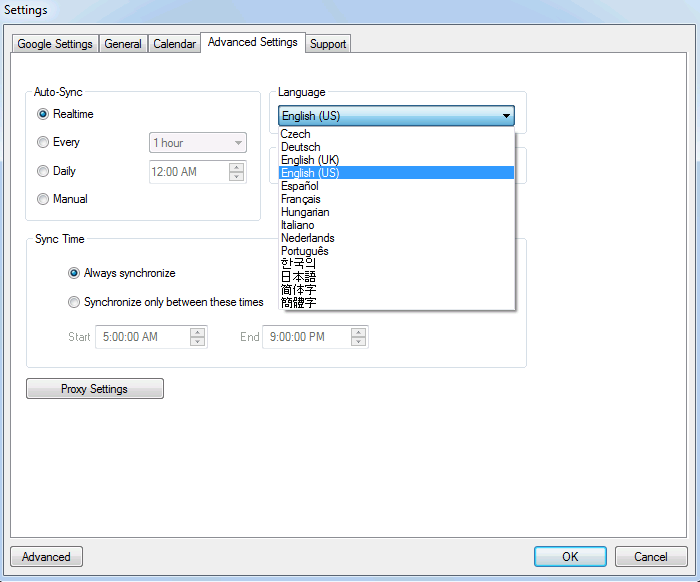 Click on Advanced Settings tab to configure additional settings, such as Auto Sync, Language, Sync Time and etc. Click on Advanced button at lower-left of Applications tab to separately configure One-Way or Both-Ways sync for calendar, contact and task. Click on Outlook Folders tab to assign Outlook local folder to store entries. Once finished, click on OK.
Now back to main page, click on OK to save settings. Then, a popup window will ask you to proceed synchronization or not? Click on Yes and sync will start. The sync session will first scan entries on both ends before synchronization process. Once sync is complete, there will be a summary. You can also check results on both Google Calendar and Outlook. 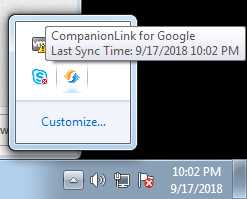 For your reference, CompanionLink for Google will run minimized in Notification Area on Windows Desktop. There is just about right amount of finetuning features, which is a lot less than gSyncit. But, these features are useful. You can study user manual a bit to take advantage of it. 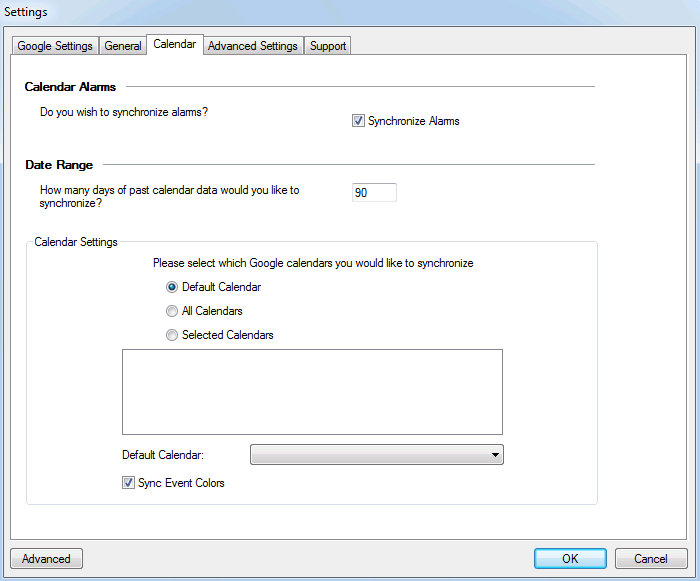 Only what is displayed in calendar list on Google Calendar can be selected to synced. The radial selection is single, all or default calendar. For Outlook local folder, you need to find it on another page, which is a bit less intuitive. However, folder selection method is easier than gSyncit and OggSync. Support of Outlook 2003, 2007, 2010, 2013, and 2016. Even with this backward compatibility, I still strongly recommend you use at least Outlook 2013 or 2016. The reason is that Outlook 2010 has minor glitches and is not running as smoothly as Outlook 2013 and 2016. Yet, Outlook 2003 and 2007 had reached the end of their life cycle. 14 days of trial period with full features. Purchase with volume discount is available. Support of timer sync, such as syncing every 5, 15, 30 minutes, 1, 2, 3 4, 6, 9, 12 hours, daily, or manual. Tech support is provided via website’s FAQ, voice (English-only), e-mail (English-only). A paid remote session support is available upon request. A total of 13 languages can be displayed on its official website for non-English speaking visitors. Advanced options are scattered around. Users need to get more familiar to properly configure them. Only one Google account can be logged on at a time. Only syncs with Google services. Syncing with other cloud CardDAV/CalDAV services is not available. Every sync session will scan through entries all over again. When there are hundreds or even thousands of entries, it will take a lot of time. 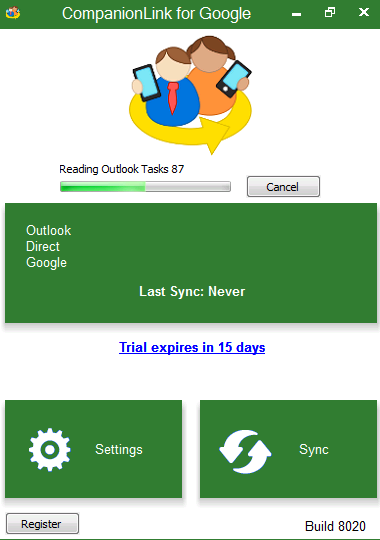 For real-time sync, entries created on Google will be synced to Outlook almost immediately. However, there will take some delay before entries created on Outlook will be synced to Google. Version limitation on different version of Outlook. Outlook 2003 and 2007 can only be installed with v7.0 or earlier. Outlook 2010 to 2016 can be installed with the latest v8.0. Even though software UI supports multi-language, CompanionLink’s official website is only available in English. I browsed almost every page on its official site, but I did not find any clue on whether future upgrade is free or not for existing customers. Settings scheme is friendlier than gSyncit and OggSync. Wasting time on skimming through entries is the same as both of them. It provides useful configurable options for users. For trial version, capability-wise, there is no limitation, but trial period lasts for 14 days. You have enough time to evaluate whether this software tool fulfills your need. 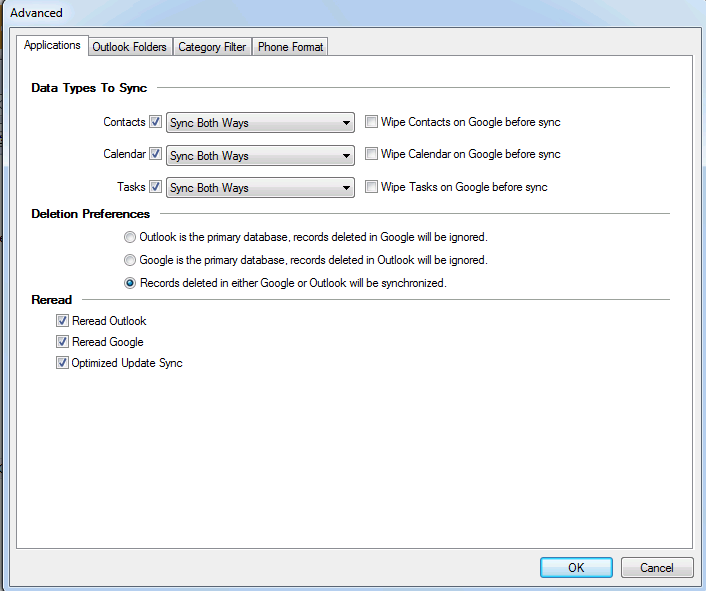 Previous postHow to synchronize Google contacts with Outlook 2016?